Here, in Stephenville Texas, we know how important it is to have everything on your '06-'15 Dodge Ram in working order. 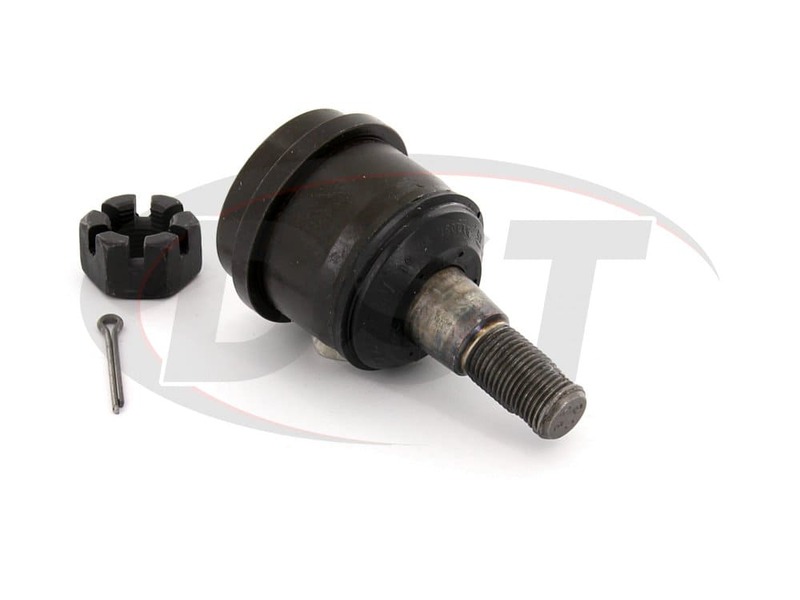 You've driven your truck around long enough to know when somethings not right and because of a manufacturing defect in the '06-'15 Dodge Ram, premature ball-joint failure is a pretty common occurrence, and that can really mess up the way your truck handles. 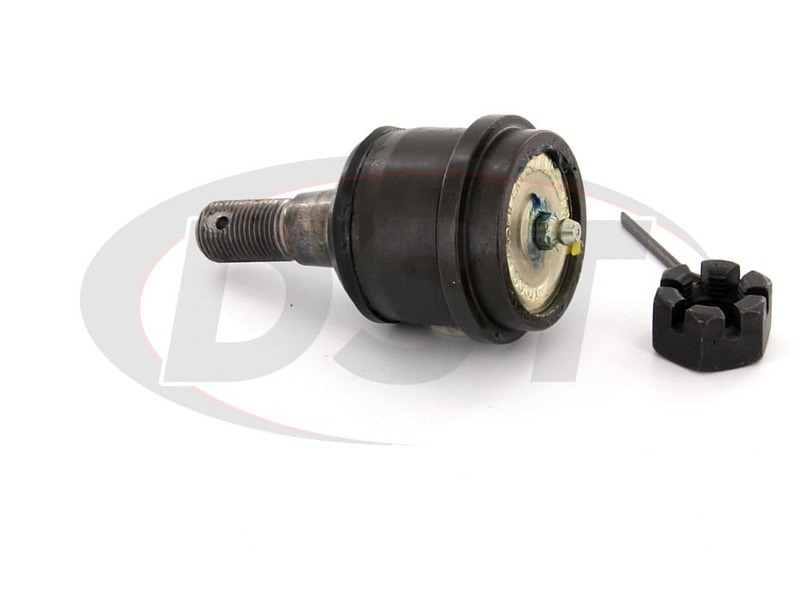 The OE upper ball joints on these year models of Ram trucks wear out with impact loads even under normal driving conditions, and if you have any side-to-side play in your ball joint then they need to be replaced. Whether you're hauling a load of cattle to sale or bringing lumber to the work site, you don't want to worry about something going wrong with the steering on your Dodge Ram. The name "ball joint" can be a little misleading in the case of the K7460. If we were paying attention during our High School biology class, we learned that ball and socket joints allow us to rotate our shoulders or our hips (unless you're Baptist) a theoretical 90-180 degrees. The ball joints on your Dodge Ram actually have to spin to achieve this same effect, but because of the way the '06-'15 Rams were designed, the OE upper and lower ball joints don't always perfectly align. This causes that OE ball joint to deform and wear out sooner than normal. This upper ball joint is designed to telescope, addressing the manufacturing problem that the OE ball joint doesn't take into account. Most ball joints should not move up and down at all, but in this case it's downright necessary. When you take a look at the K7460 you might think that the stud is too long or too short or that it's loose and has excessive play, but as you can see in the picture, this is totally normal for this ball joint. This Telescoping design has been engineered to allow some vertical play to address a specific manufacturing variance in the upper and lower ball joint alignment on several makes and models of Dodge Rams. So, when you buy these brand new ball joints and notice that they're moving up and down, don't fret. That's just the folks at Moog solving problems that we didn't even realize we had. You have a Ram, because whether its work or play, you're putting it through the ringer. You're going to be creating a lot of friction and the powdered-metal bearing on this ball joint lets the grease go where the friction is. The design of this ball joint allows lubricant to flow through the bearing and onto the stud which will extend the life of your part. The porous material lets the grease flush away the junk you picked up in the construction yard (or at the deer lease) from the surface of your stud and bearing keeping your ride smooth. A hand-made samurai sword goes through an amazing process using fire and clay to harden the edge of the blade while keeping the back side just a little bit flexible. The same principle these ancient craftsmen used is employed today in the full-ball metal stud on this ball joint. The stud is heat-treated in such a way that the outer shell of the stud is hardened but the inner core maintains just a little bit of give. Before you think "That's just crazy!" imagine the stress that this piece of metal goes through in an accident or rough use. Would you rather have a vital steering part on your truck break or bend a little? I know what a samurai would say. Grease is what keeps these parts from wearing themselves out prematurely. So you want to keep that grease where it's supposed to be, but it's also important to be able to flush it out when it's time to get rid of those contaminants that have built in your upper ball joint over time. 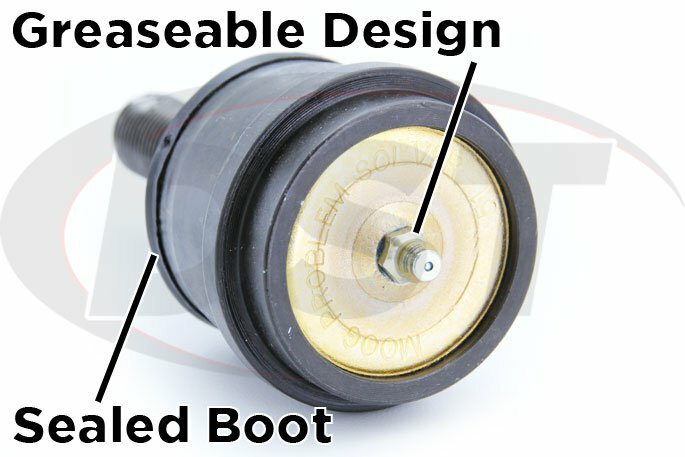 The polychloroprene boot that comes on this ball joint is guaranteed to keep that lubricant in and it also has a built-in grease-relief valve to allow an easy exit for those contaminants. This combined with the grease zerk fitting on the ball joint makes getting the good grease in and the junk out a simple task. Does the moog-k7460 come has a spline ball joint or a smooth ball joint? Does Moog offer a spline ball joint for the 08 Dodge Ram 2500 4x4? 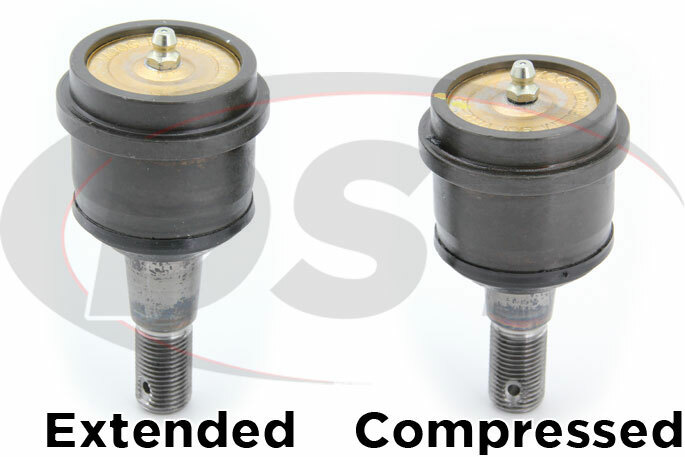 The moog-k7460 will not have splines, it is a smooth OE replacement upper ball joint. 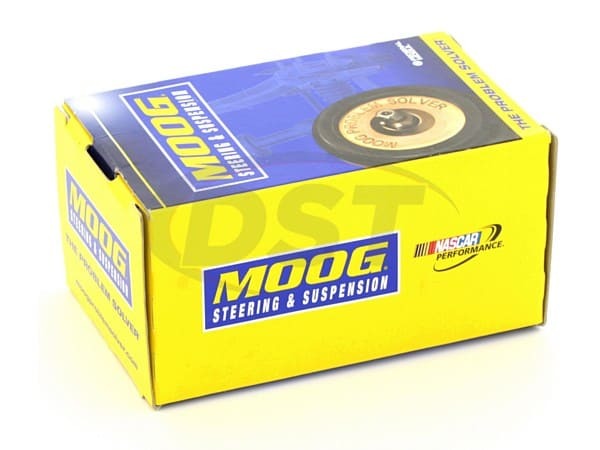 Unfortunately Moog does not offer a spline upper ball joint for your 08 Dodge Ram 2500 4x4. What is the warranty for part number k7460? Part number k7460 has a lifetime warranty. What the difference between k7460 and k100057 for a 2008 dodge ram 2500 6.7l? I have a 2008 Dodge Ram 1500 heavy half. If you could give me the part numbers for upper and lower joints? 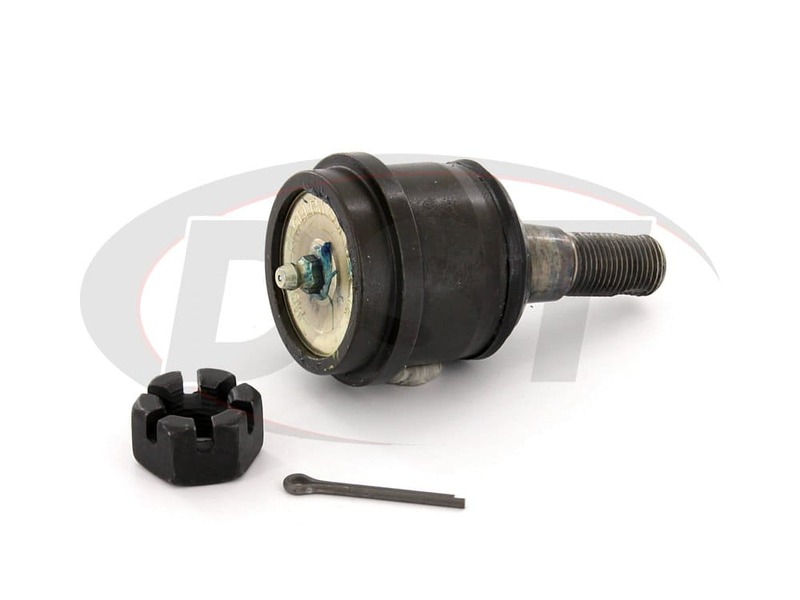 Lower ball joints are: K7411 for a 5 lug wheels, 2wd K7465, 4wd is K7467 8 lug wheels, Uppers are K80628 for 5 lug wheels, 4wd K500316 for 8 lug wheels, RWD uppers K80628 8 lug wheels. The stud on the moog-k7460 i received moves up and down, is this normal or did I get a bad joint? The moog-k7460 is designed to have that up and down movement, it is normal. What is the stud thread on part number k7460? 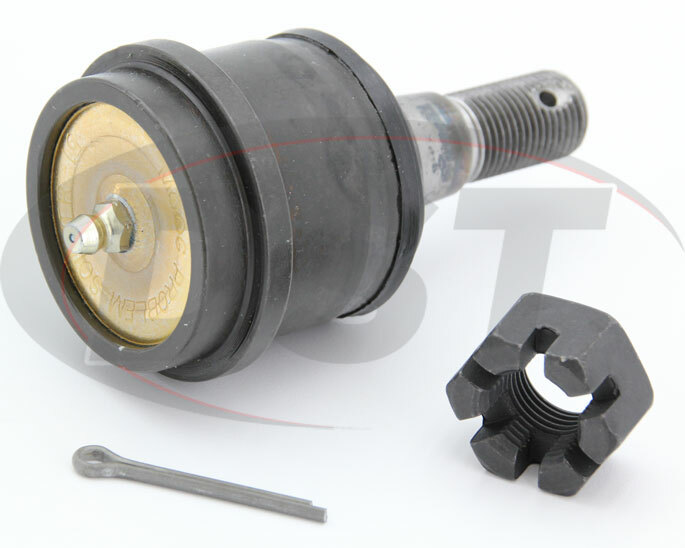 For part number k7460, the stud thread is M16x2. 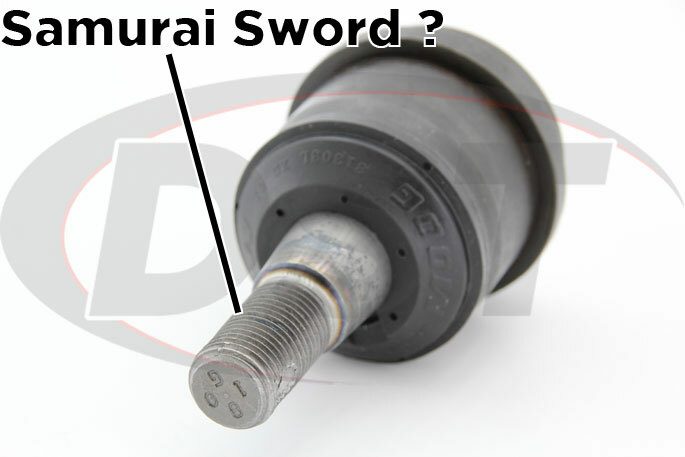 Is the k7460 the correct upper ball joint for a 2006 dodge ram 1500 with the 5 stud lugs? No, part number Is the k7460 is only for the 8 lug wheel on the 2006 dodge ram 1500. You would need part number k80628 for the 5 lug.  What is the difference between k7460 and k100057? They both show they fit the 05 Dodge 2500 4wd. Part number k7460 has the stud that is designed to spin and not articulate, so the up and down motion is normal. 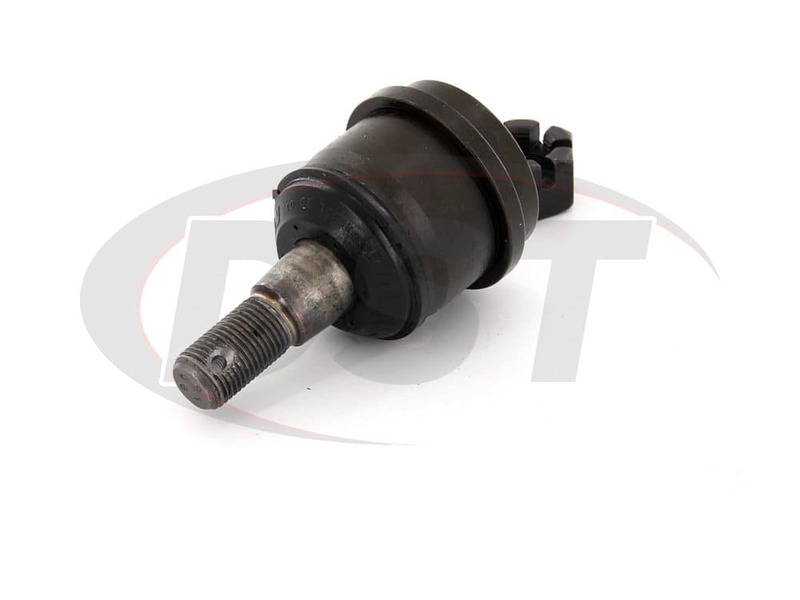 Part number k100057 is the non-adjustable ball joint that is offset at 1/2 for the camber/caster. 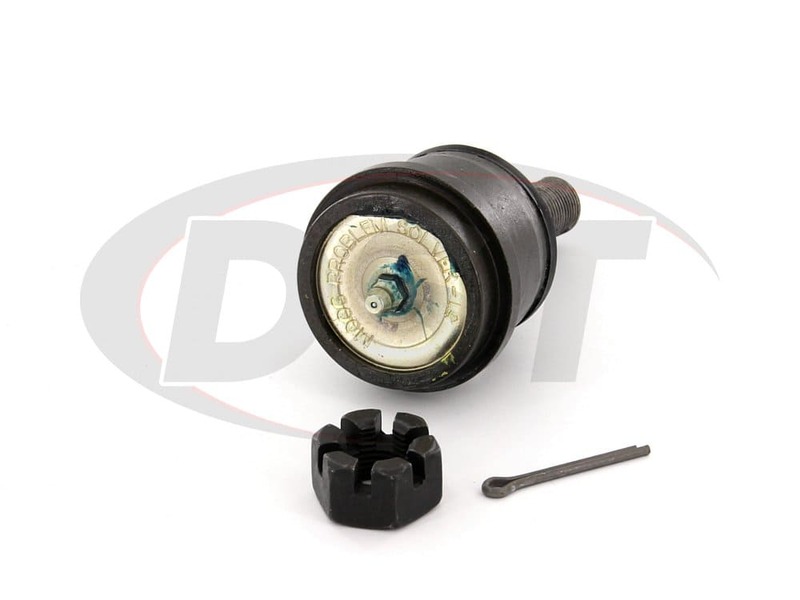 What is the OEM upper and lower ball joint required for a 09 dodge diesel 2500 4wd. What is ment by gear steering? Will part number k7460 fit my 2010 Dodge Ram 2500 4wd with gear steering? Yes, part number k7460 will fit your 2010 Dodge Ram 2500 4wd with gear steering.